Can you confirm these amateur observations of Bachia trisanale? 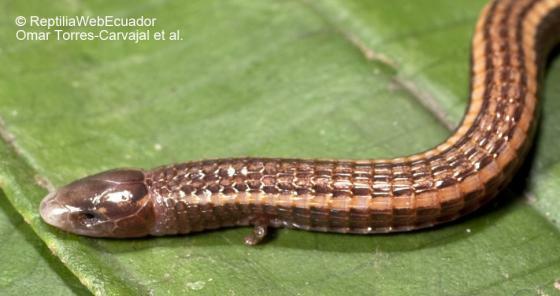 Type locality: Ecuador, Napo or upper Marañon. Comment Distribution: see map in TEXEIRA et al. 2013: 412. 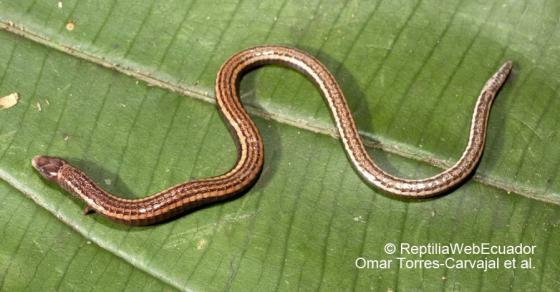 Type species: Ophiognomon trisanale COPE 1868: 100 is the type species of the genus Ophiognomon COPE 1868, now a synonym of Bachia (see Dixon 1973: 14). 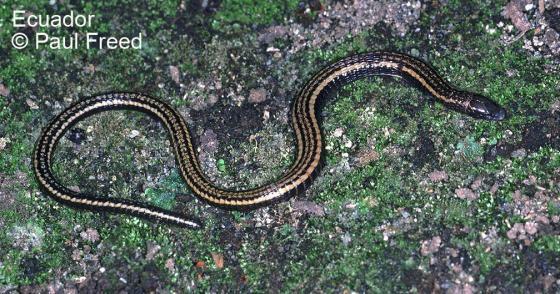 Chalcides (Hapalolepis) abendrothi PETERS 1871 is the type species of the (sub-) genus Hapalolepis PETERS 1871: 399. Propus vermiformis COPE 1874: 70 is the type species of the genus Propus COPE 1874: 70 (preoccupied by Propus Oken 1816).